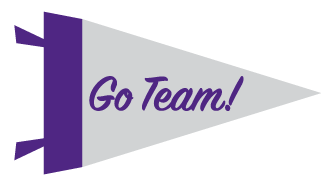 Show a Little Team Spirit! Remember going to your first K-State basketball game? Or tailgating before a Wildcat home football game? You probably spent the night before figuring out just how much purple you could wear to show your team spirit! Well, don’t forget the fun of it all as you begin your teaching career! Be sure to recognize all those extracurricular opportunities your students are involved in as you kick off the year—carnivals, sports events, band performances, etc. As a K-Stater, you know how important those events are—how they provide incentives for your students, a sense of belonging to a school family, and self-esteem. As time allows, try to attend some of these events to cheer on your students—and to show that you recognize their interests and efforts outside the classroom.